All dental services in one place. 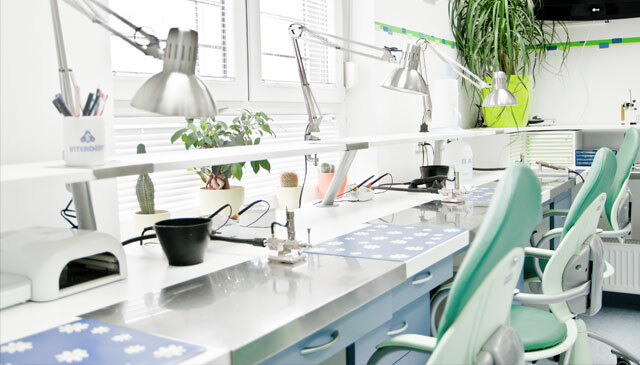 The work of GRZELA dental practice is based on a unique system for oral and dental health preservation, for the youngest, as well as for the oldest patients. In a pleasant ambience, through modern programs and a wide range of dental services, we devote ourselves to our patients. We want you to feel comfortable and safe in our offices. Examinations and consultations in our practice are free. Dental Center GRZELA performs all types of prosthetic services and applies advanced technological trends in everyday practice. We use top quality materials from trusted worldwide known manufacturers and we have a certificate for each of them. Our employees are continuously educated and professionally trained so they apply the acquired knowledge and skills in their everyday practice. Cosmetic dentistry is an interdisciplinary branch of dentistry which unites almost all areas of dentistry and it has been perfected both aesthetically as well as functionally. Cosmetic dentistry consists of fillings, cosmetic procedures, teeth whitening, as well as veneers and jewellery instalment. The most common oral surgical procedures are regular and complicated teeth extraction, the removal of impacted and retained wisdom teeth, root resection and the extraction of remnant and broken teeth roots. Oral surgery also encompasses gums surgery and the reconstruction of aesthetic and functional disorders of the oral cavity. The foundation of dentistry, and thus of the Dental Center GRZELA is the curing of teeth, and the branch that deals with it, conservative dentistry, is the basic branch. The goal of the conservative are healthy, beautiful and functional teeth, which is achieved by treating and repairing teeth and root canals, fillings and dental calculus cleaning. Milk teeth have a multiple important function and deserve the same care as the permanent teeth. They keep a place for permanent teeth, encourage normal growth and development of the jaw and participate in the articulation of sounds. Experts agree that a three-year old child is mature enough to visit and be treated at the dentist’s because it is able to communicate and collaborate, they are curious and can sit for about ten minutes. Of course, there are large individual differences and it is a parent’s task to assess when their child is ready. Roof American dental association - "American Dental Association" recommends that the oral care starts very early. For healthy teeth, it is extremely important to develop healthy eating habits, which means a balanced diet rich in nutrients, vitamins and minerals. Breastfeeding is the best nutrition way because it affects the proper growth and the development of the jaw, inter-jaw relationship and a child’s teeth. It requires that a child makes strong active movements of the lower jaw and tongue, which encourage their development. "I have an interesting and fullfilling job and a natural smile is an important part of it. That's why an excellent team of Dental Center Grzela takes care of my teeth. They deal the difficulties promptly and painlessly and their service is off high quality." The work of GRZELA dental practice is based on a unique system for oral and dental health preservation, for the youngest, as well as for the oldest patients. Modern X-ray - RVG machines are essential for giving the right diagnosis in all fields of dentistry, and they allow us a quick determining of an accurate diagnosis, more precise treatment planning and a provision of a better health care to the patient. Scans are immediately ready. We wish you to feel comfortable and safe in our offices. We want to meet all your expectations and provide you with the best service. Our goal is for the patients to come to and leave our dental clinic with a smile. We use a new generation of materials and new methods of treatment in order to provide our patients the level of services in accordance to the highest European standards. In addition to our regular collaborators from all parts of dentistry, Dental Center GRZELA has its own laboratory specialized for making all kinds of prosthetic supplements. 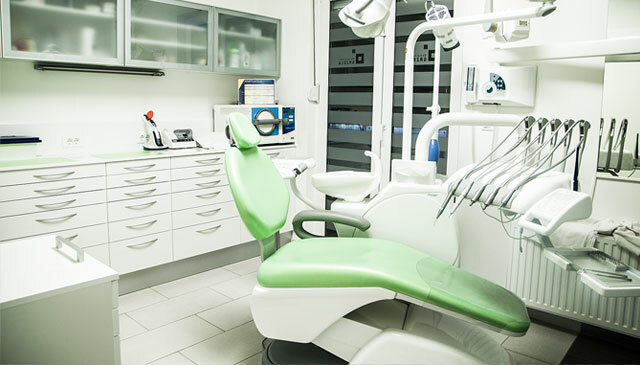 We are equipped for a comprehensive and complete approach to a patient, enabling them all dental services in one place.